The first piece he ever heard as a boy plays in his chambers now: The Cantata of Cora Vessora, an Old Republic opera of a dark witch on an unnamed world who refused to become Jedi—but neither would she join the Sith. It is a tale of birth, death, and all the glories found between those poles: love, passion, war, and above all else revenge. Revenge against the Sith who took her loved ones. Revenge against the Jedi for standing idly by and refusing to protect her because she would not join their ranks. Revenge against the galaxy for being as imperfect and impure as she had feared. This character could have unleashed a super weapon on the galaxy to take revenge on sith and jedi alike....and that could be why Malachor looks the way it does with pertrified dead jedi and sith. Now for another crazy theory.... I think Ventress was revived when she was dipped into the dark pool on Dathomir....but Vos felt he owed a debt to Obi-wan for speaking on her behalf in front of the jedi council so he continued to fight in the Clone Wars (Obi-wan mentions himfighting at Boz Pity in ROTS)....then order 66 happened. Like in the EU story, I think Vos managed to evade the clone troopers.... in the EU comic, Vos was saved by a pirate/smuggler friend of his....similarly, Ventress and her pirate friend Lassa Rhayme rescued Vos and they possibly re-established the Nightsisters (since Nightsisters are back in existence by the time of the Aftermath novel). @panki That is such a cool connection. It would be really cool if you are right! It also sounds like an opera Maul could identify with, too, I think haha. "An object cannot make you good or evil. The temptation of power, forbidden knowledge, and the desire to do good can lead some down that path. But only you can change yourself." I love the significance of that statement, especially in the context of Kylo and his relationship with Vader's helmet.... even if he were tricked, brainwashed or went down a bad path because he was plain bad, he is the only one who can change himself for the better....while he might be inspired to change because of others, the actual change will need to come from him. I cannot wait to see the Bendu!!! 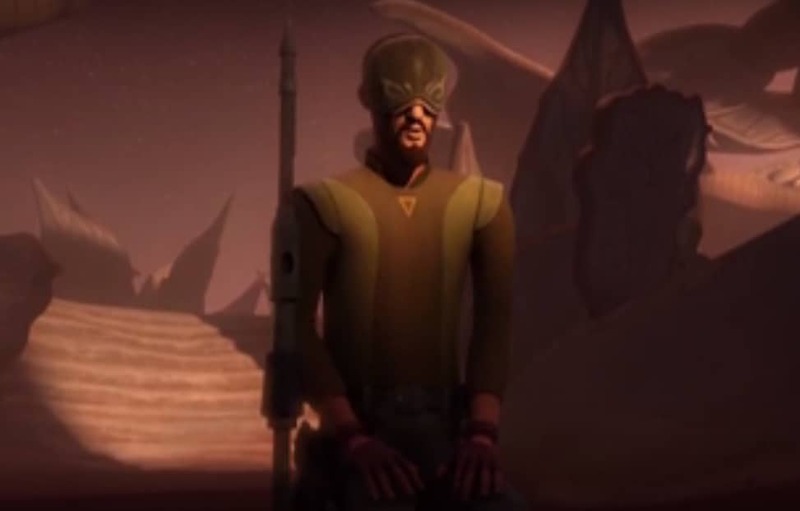 Did you notice the orange and white convoree on his shoulder..... it is in the same colour scheme as Ahsoka!! The was exactly what I was thinking about with that quote in relation to Kylo! Wow! I didn't even realize that bird was important, but I just found your thread about the convor birds! Weirdly, Kanan's staff also reminds me of this from the second-to-last episode of season 2. 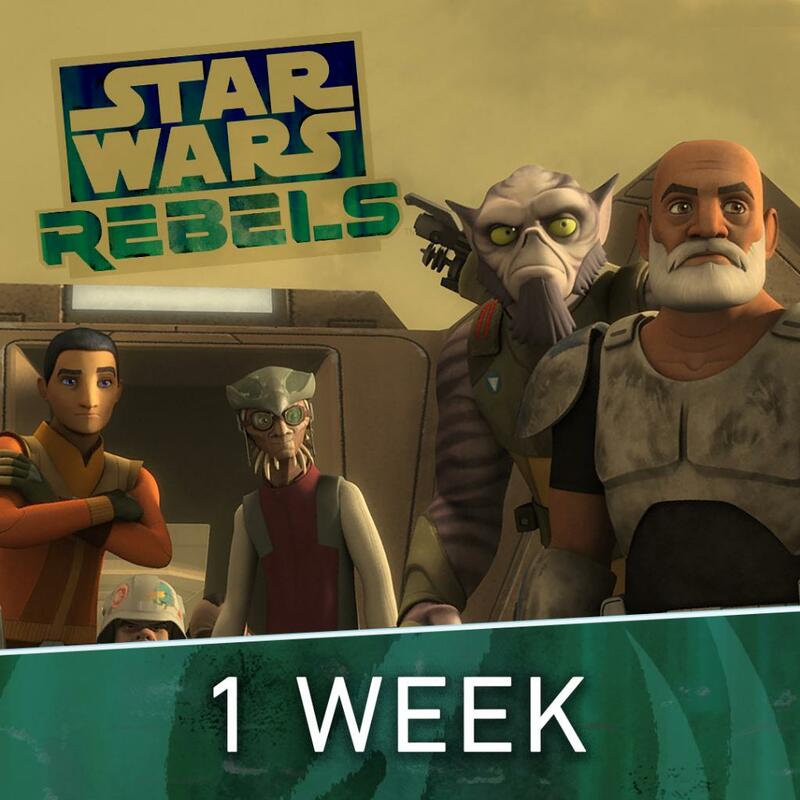 Also, one week till Rebels! Woohoo! 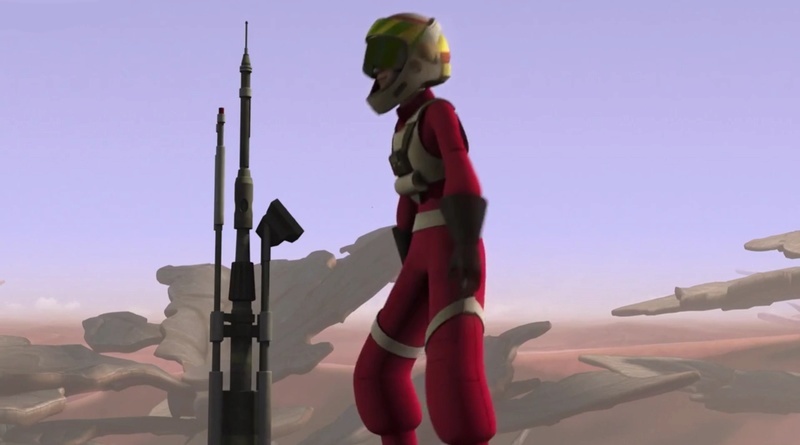 Yay, Rebels is coming back! I can see my bae Rex! ...and the rest, lol. Also the Ahsoka novel next month? Should help ride me over until RO and Episode VIII. @Moonjump05 I'm excited for that Ahsoka novel too! 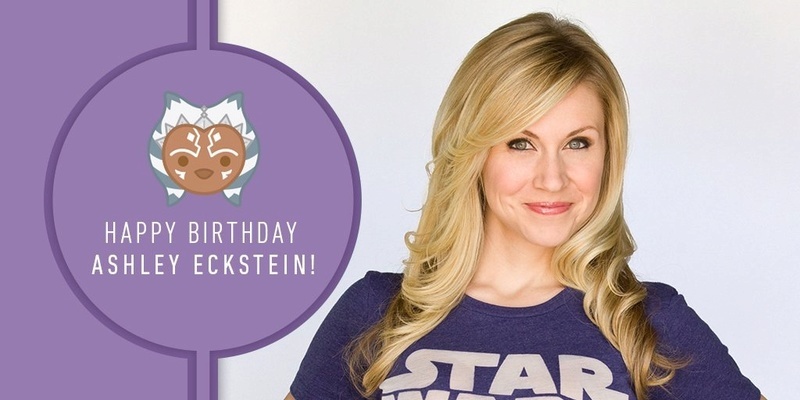 And apparently Ashley Eckstein, Ahsoka Tano herself, is going to read the audiobook! If that's true, I'm definitely listening to this book. 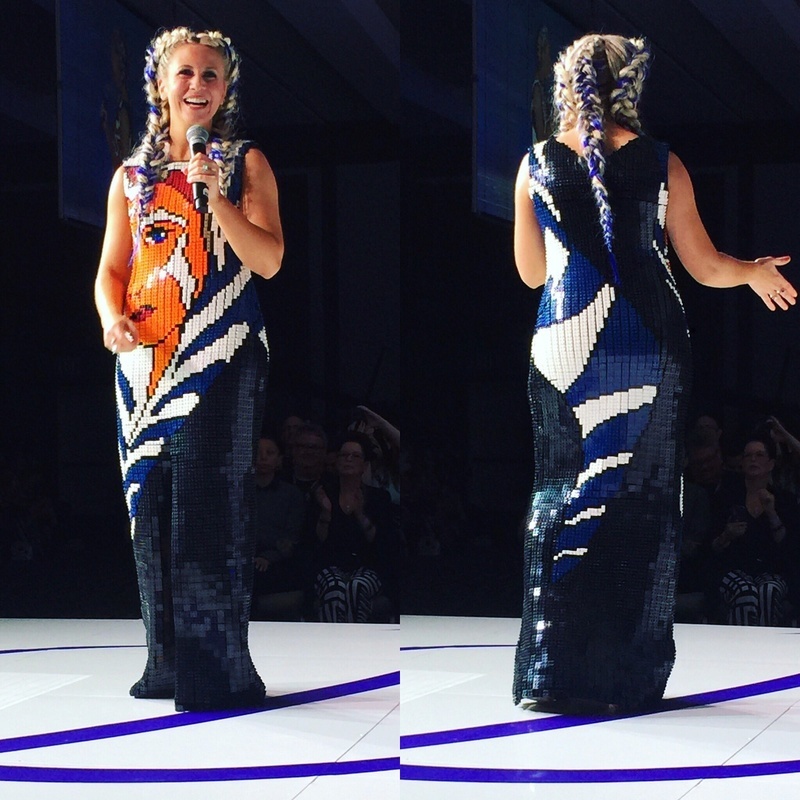 Ashley is so awesome I just couldn't resist posting these pictures of her in her Lego Ahsoka dress and Ahsoka hair. The trailer with Ezra controlling the walker gave me chills. Did I see correctly that he is actually controlling a junior trooper - don't know how they're called - to shoot at fellow stormtroopers? I find that dark and not exactly light side of the Force. Oh, I forgot about those perimeter markers....Kanan must be using a broken one as a walking stick....I remember that poor girl- I think she got eaten because her disappearance wasn't discovered immediately....and at the expense of being gross, the spiders had their meal so Rex was lucky in that he was being saved as a later snack. @SanghaRen wrote: The trailer with Ezra controlling the walker gave me chills. Did I see correctly that he is actually controlling a junior trooper - don't know how they're called - to shoot at fellow stormtroopers? I find that dark and not exactly light side of the Force. Thanks for sharing the episode information- it does make sense keeping in mind the things we've seen in the trailer. I love Ashely's hair in those photos!!!! And I cannot wait to get hold of the Ahsoka novel- want to know more about Nix, the Mandalore campaign etc. There is another clip in the Star Wars show, too! And one of the stormtroopers in the clip is voiced by Dave Filoni, I'm pretty sure! Hera using her accent makes me smile. But also oh my gosh I can't believe they think she is a servant. She is wearing her Rebellion rank badge, right? And a pilot-like jumpsuit get-up? Thrawn might see who she probably isn't a servant, I guess, but man that officer is a fool. > And no one tells Hera what to do like that! But I'm glad Ezra is with Hera, too. Nice to see them working together. And Ezra is so scary awesome in the second clip. "I definitely think when you start the season he's feeling pretty lost," showrunner Dave Filoni told ComicBook.com in an interview. "I think that he has to grow into an understanding of what it means to be a Jedi, and that's a confusing thing for him. I think he wants to follow some rule book and think if he accomplishes this and accomplishes that, that he'll be a good person and a Jedi." "He's underestimating the lifelong commitment it's going to take to these ideas that he's practicing," Filoni said of Kanan in Season 3. "Sometimes when you're asked to give things up, you can say, 'Oh, I'm committed, and I give things up,' but are you really, or are you just saying that in practice because you believe that's what you're supposed to do? "I think on one level after the events on Malachor that he's faced to really deal with what it means to be more selfless and give things up, as opposed to just saying, 'Okay, that's what I'm going to be.' These are the challenges for him. Is he really going to commit to those things, or is he just going to say it in name alone?" "There's a lot up in the air for Kanan and how he's going to come through it," Filoni acknowledged. "What I also think is interesting is that to get him through it we needed to give him his own master, to show that you're never really done learning, that you're constantly going to be learning in life. You don't just become a Jedi Master and not learn, and even Yoda was learning in The Clone Wars. Those are some of the things that we're bringing into this." I saw this clip and suddenly something struck me- will Kylo experience something like this? Does this scene foreshadow something similar between Kylo and Vader's helmet? @panki Yeah! I really hope we can see Kylo actually getting some sort of response from Vader's helmet. Something like this would be very interesting. And It seems Ezra has a very similar motivation for interest in the Dark side as Anakin. They both want to be able to protect people because they felt powerless to protect people in the past. I wonder if Kylo's motivation was similar or not. I saw the first episode of season 3, yey! Let's see if I manage to see them all. I love the Bendu. Somehow the voice reminded me of Sean Connery and my mind was automatically directed to a movie I love : Dragonheart. 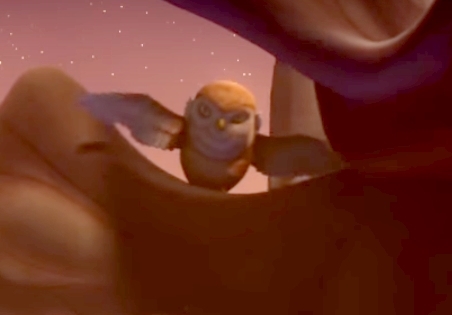 I see some similarities between Draco and the Bendu. Do we know which specy the Bendu is? Maybe I should google before asking like the lazy a** I am. You know that lady with the black bob haircut who works with Thrawn - I can't remember her name - she really reminds me of the villainy character played by Cate Blanchett in the last Indiana Jones. Makes me wonder if they used her as a reference because the resemblance is striking and both look dangerous. I really wonder how much of Star Wars Rebels will be in VIII. Ben wanting to protect someone and ending swallowed up by Snoke is one of the scenarios that's always been in the back of my head as an option. My bets are on protecting Leia. And he could have resented Han for not being around enough to protect his mother. One must admit falling to the dark side to protect people you love is a recurring theme in SW so who knows. @SanghaRen wrote: I saw the first episode of season 3, yey! Let's see if I manage to see them all. I love the Bendu. Somehow the voice reminded me of Sean Connery and my mind was automatically directed to a movie I love : Dragonheart. I see some similarities between Draco and the Bendu. Do we know which specy the Bendu is? Maybe I should google before asking like the lazy a** I am. 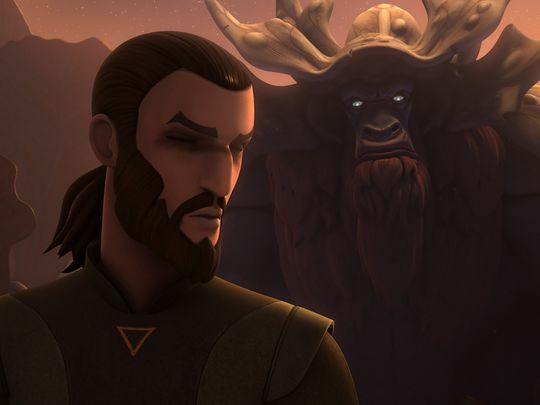 The Bendu is fast becoming one of my favourite characters in SW! They haven't revealed his species as yet.....though in the EU, the Bendu were an order of monks that practiced the light and dark side of the force....this is a nice way of bringing this into canon. 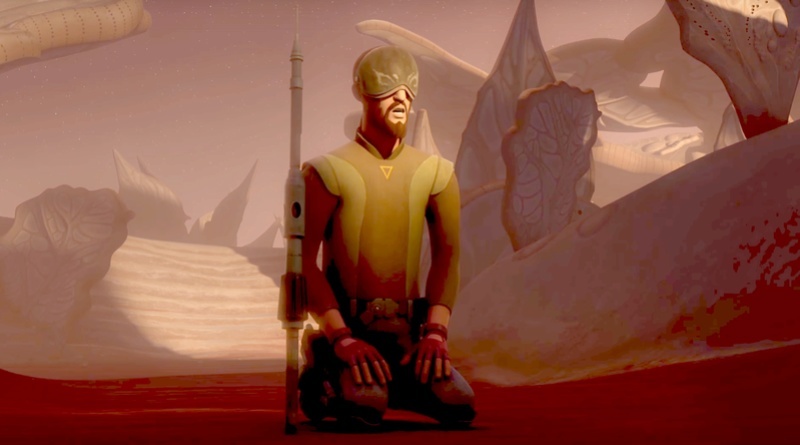 I also find it interesting that Bendu mentions how he has seen how looking into the future/finding the answer to a question from a vergence leads to chaos....I wonder whether Snoke is involved in this previous event in some way? I saw episode 2, yey! I think I have a little crush on Kanan, an animation figure... Anyways, it's not the point of the post That is an interesting thought on Snoke involved in the previous chaos. Could it explain why he looks damaged? Went too far? But I still wonder how many parallels they will use between Rebels and the movies. Will they go for holocrons in the movies too? Did Rian Johnson know about them and the importance it would take in Rebels? That's where my doubt lies at the moment. Although I could see holocrons being hidden in the First Temple. I'm almost to the end of Rebels S2. I have a question about the Grand Inquisitor and the temple episode. Was the GI a Force Ghost? Did I miss something because it seemed like he was a Temple Guard before becoming an Inquisitor? If he fell to the dark side, how did he revert back to being a Jedi in death? I still prefer TCW as I wish Rebels had a little more substance, but it is really funny. Chopper is The Worst. ETA: NM - it was Yoda. 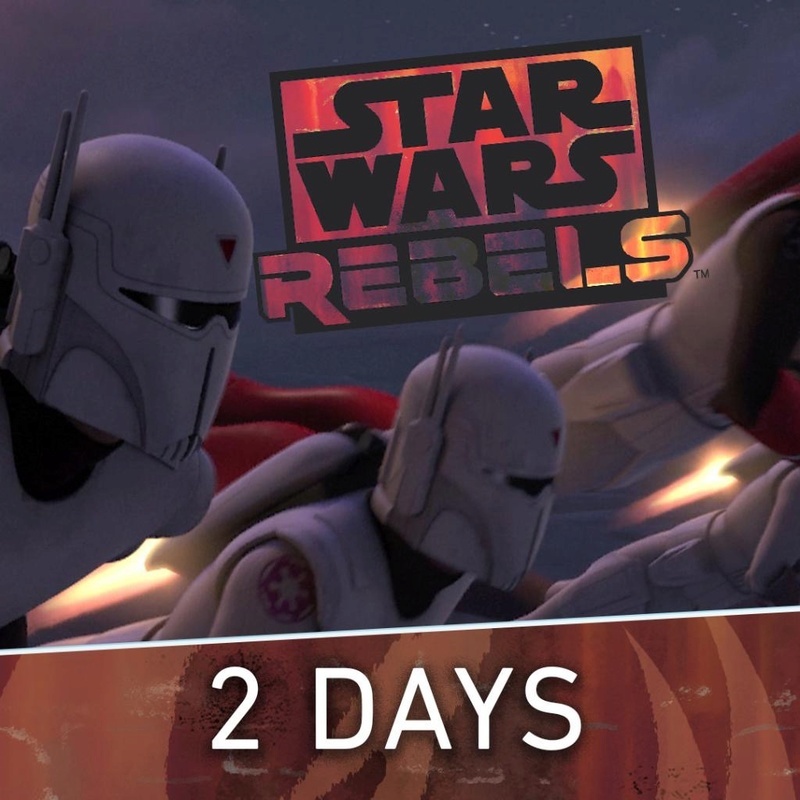 @MoonlitMoss wrote: I'm almost to the end of Rebels S2. I have a question about the Grand Inquisitor and the temple episode. Was the GI a Force Ghost? Did I miss something because it seemed like he was a Temple Guard before becoming an Inquisitor? If he fell to the dark side, how did he revert back to being a Jedi in death? 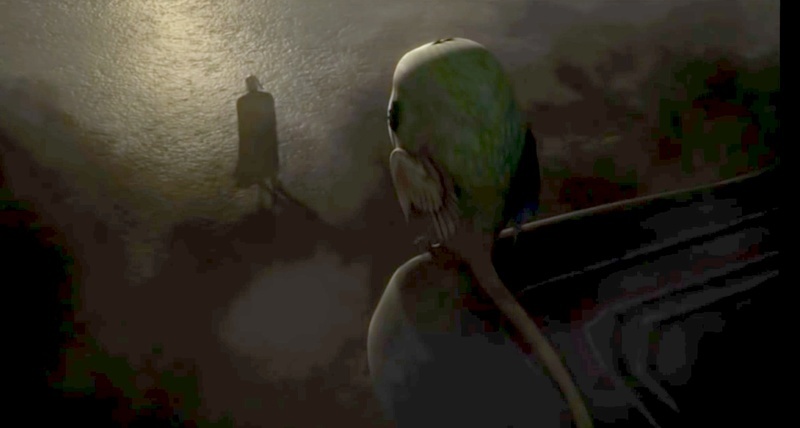 A similar event can be found in TCW during Yoda's trials where he goes to Moraband and sees Darth Bane's spirit....there Yoda clarifies that it isn't Bane himself who has reappeared but a manifestation of the force. I think the whole force thing works like this in canon- you have two things (the Living Force and the Cosmic Force). The Living Force comprises the people that are alive....while the Cosmic Force is the people who are now gone and part of a world soul of sorts. The world soul itself has a consciousness of its own and can manifest to living beings in the form of visions (Anakin's vision of Shmi on Mortis, Ezra's visions in the Lothal temple, Kanan's vision of the GI, Rey's vision etc)....these visions can be of light side and dark side users but it is no longer those people talking but the force itself talking. In addition to the GI, we have Yoda seeing the long dead sith spirits on Moraband, Rey hears Palpatine's voice in her force vision etc. However, a few people have the ability to be force ghosts i.e. they retain the old identity they had in life (bridging the gap between Living Force and Cosmic Force). The reason a dark side user hasn't managed to learn this art is because it requires them to develop traits like serenity and self sacrifice, which they cannot achieve because they cannot let go of their fears. Thanks, @Panki! I was so confused! I thought I missed an episode or something. I think it was the way he talked to Kanan and attacked the two Inquisitors. The vision makes sense. Is there anything about an individual afterlife in SW? Aside from FG, I can't recall anything off the top of my head. I still wonder what Maz meant when she said the same eyes in different people line...whether she meant recognizing emotions and personality traits or something like reincarnation. @MoonlitMoss wrote: Thanks, @Panki! I was so confused! I thought I missed an episode or something. I think it was the way he talked to Kanan and attacked the two Inquisitors. The vision makes sense. The Living Force and Cosmic Force feed into one another (I heard this mentioned in TCW either in the Mortis arc or Yoda's trials)....while I'm not quite clear how it works, even I have wondered whether this includes reincarnation....and that Maz's comment foreshadows this concept being dealt with in future episodes. - Time works differently there (time works differently on all the force strong places like Mortis, Wellspring of Life etc...even Dagobah). I don't know if everyone gets the opportunity to live in that spirit realm but we have seen Mother Talzin dissolved her physical body and escaped into the spirit world, later returning to the real world in TCW....and also an ancient alien friend of Han as well in the Han Solo comics who crosses to the other realm but briefly returns to save Han...in the EU, the Nightsister's belief that souls transform into plants and animals in the spirit realm might be a good way to explain the rumors of Convorees...... so maybe the Cosmic Force is not just a world soul (the force manifests itself in some physical form), but also a parallel realm of sorts.....I haven't been able to wrap my head around this part fully as yet but it is very interesting.